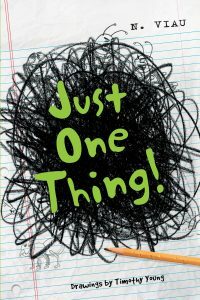 N. Viau is the author of Just One Thing!, a new novel for kids. 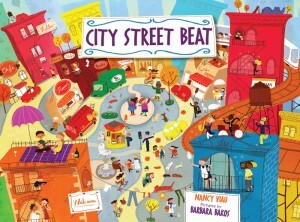 Her other books for kids (written as Nancy Viau) include City Street Beat and Storm Song. She lives in New Jersey. Q: How did you come up with the idea for Just One Thing! and for your main character, Anthony? 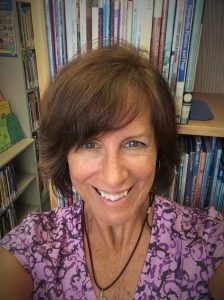 A: As a mom, teacher, and author, I noticed how many kids identify themselves using one idea. For example, the singer, the theater boy, the horse-lover, the dancer, that chatty girl, the soccer player. I wondered how a kid might feel if he didn’t have that one thing. Would he feel lost? Would he care? Did it matter? And what if everyone wants him to be known for a terrible or embarrassing thing instead of something he can be proud of? My character, Ant, is that kid—he’s every kid who struggles with identity. Q: Ant loves to draw, and the illustrations in the book represent his drawings. At what point did you see illustrator Timothy Young's work, and what do you think it contributed to the book? A: Tim showed me illustrations early on. He suggested edits based on things he felt Ant could depict in drawings. One time, he told me, “Hey, those connecting dot things—they won’t work,” and he was absolutely right. Another time I asked that he show more of a progression in Ant’s artwork, so the reader could see Ant getting better and better. The drawings also give details as to what’s going on in Ant’s head, and if the reader pays close attention to them, he’ll have a terrific understanding of Ant’s day-to-day thoughts, his dreams, worries, and goals. A: Yes, I knew how Ant’s story would end. I wasn’t sure how his family would change until I explored the twist with Dad’s new love interest. Q: You've written for different age groups. How does your writing process differ depending on your likely audience? A: I love picture books and have so many ideas for new ones, but most never even end up on paper. 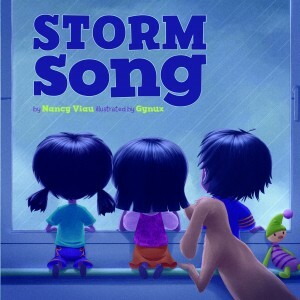 I go over and over a picture book idea in my mind until I can’t stand NOT writing it down. Sometimes a story begins in rhyme and I change it to prose; sometimes rhyme works better. For novels, it’s very different, and usually I begin with a character I want to explore and a simple problem. From there I ask myself: What troubles this kid? What trouble can he get into? How is he like any other kid? How is he different? A: I’m obsessed with two works-in-progress—both are picture books, but one wants to grow up and become a chapter book or novel. I’m also exploring two non-fiction ideas, and I haven’t figured out how I want to tell those stories yet. 1. I am definitely a write-what-you-know kind of author. 2. I’m an 8-year old at heart and although Just One Thing! stars a character who’s a bit older than that, I’ll never venture into writing young adult fiction. Too much drama, too much angst!